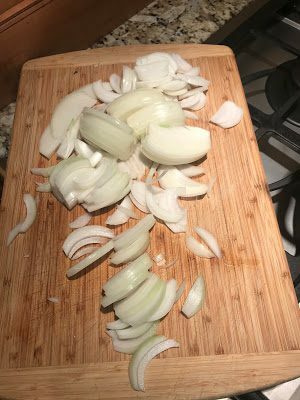 Cut onions in half then slice 1/4 – 1/8″ thick. 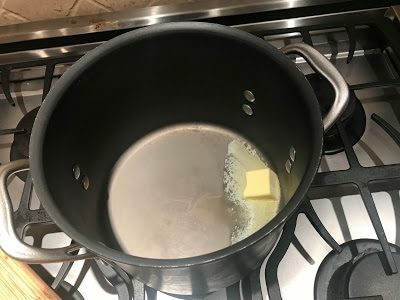 Heat 2 TBSP butter in a large saucepan over medium until melted and sizzling. You can use a skillet to cook the onions, but a pan with high sides will keep the onions from flipping out onto your stove. 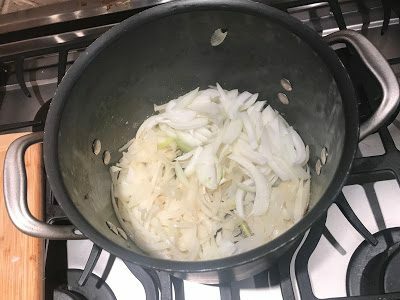 Using a pan that also has a wide base gives water room to evaporate, allowing the onions to caramelize rather than steam. 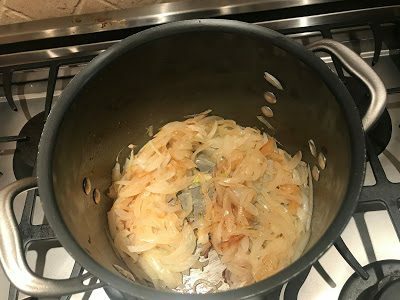 Instead of dumping in all of the onions at once, start by adding just a couple of large handfuls to the pot. 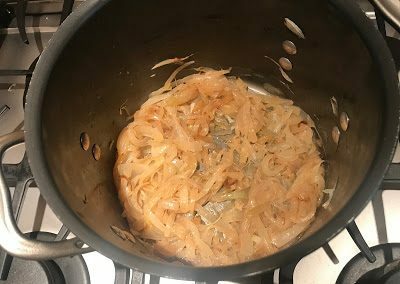 Cook, stirring, until onions are soft and starting to turn translucent, 1–2 minutes. 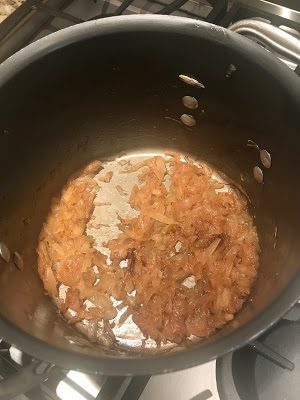 Stir in a few more handfuls of onion and repeat cooking and stirring process until you’ve added all the onions. 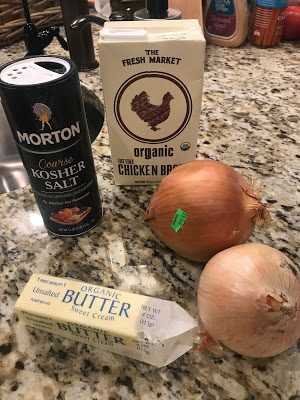 Season with a pinch of salt. 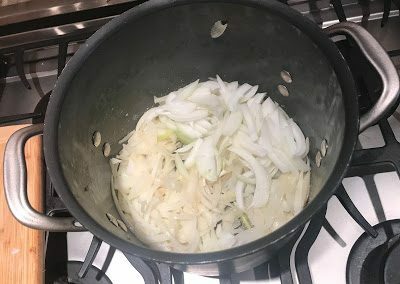 Reduce heat to medium-low and continue to cook onions, stirring every few minutes to prevent them from sticking, until blonde-colored, 15–20 minutes. 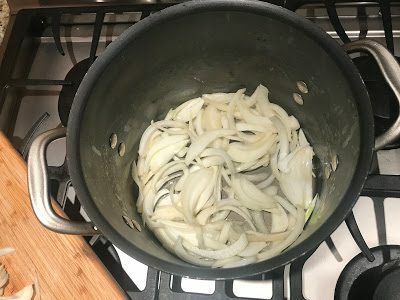 If you feel like onions are getting too brown around the edges or they’re sticking, reduce your heat. 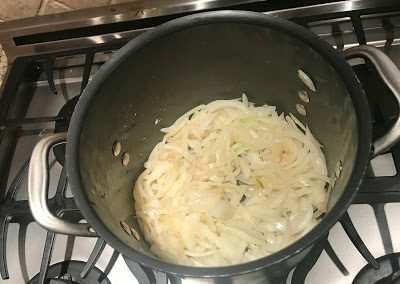 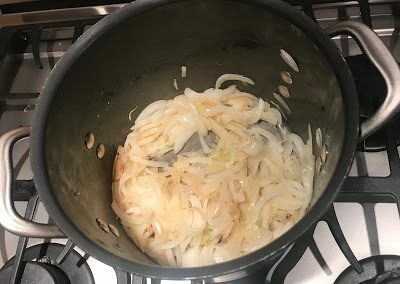 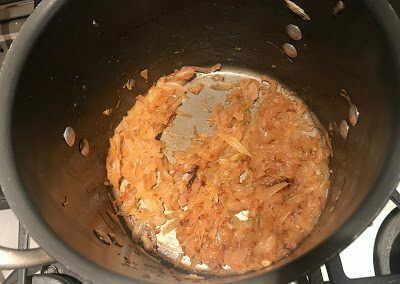 If you’re going for onions that are both softer and more caramelized (for a patty melt), keep cooking, stirring, until onions are golden brown, another 15–20 minutes. 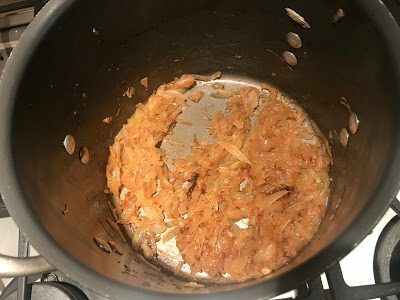 Because most of the water has cooked off at this point, there might be some spots where the pot could start to burn. If this happens, stir in a splash of broth. 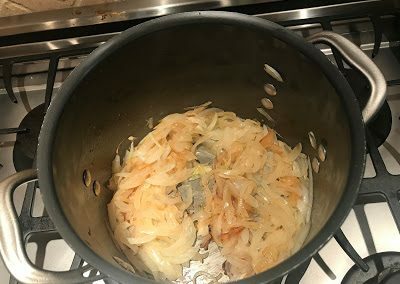 The liquid will dissolve the cooked-on bits, which the onions will re-absorb. 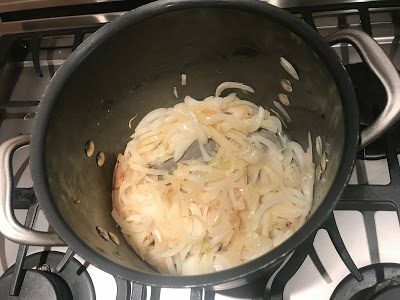 For darker onions for a great burger topping, cook until they start to almost blacken around the edges and go slightly crisp, another 10–15 minutes. This requires constant attention so they don’t burn.